Doug Franzen serves as regulatory and legislative counsel to numerous insurers, providing assistance with enforcement, licensing, admission, and all matters of insurance policy. He is a member of the Federation of Regulatory Counsel and has published several articles on insurance law. Doug is a past recipient of the British Government’s Foreign and Commonwealth Office Award to pursue graduate studies in the United Kingdom. He serves as a St. Thomas Law School Mentor and is the former Chair of the Governmental Relations Committee of the Hennepin County Bar Association. 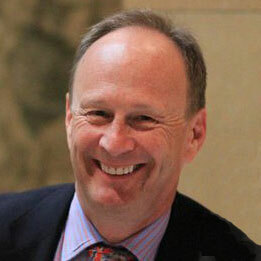 In addition to his ongoing legal/legislative practice, Doug serves as the Chancellor of The Episcopal Church in Minnesota, advising the Bishop and various church governing bodies and institutions on secular legal issues, litigation and compliance with Church Canons and ecclesiastical proceedings. United Theological Seminary – M. Div. William Mitchell College of Law J.D.